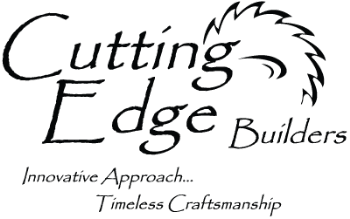 At Cutting Edge Builders, we are committed to being the most educated and experienced builder in the market. The cornerstone of our commitment is education. All owners of our company (Tom, Nate, and Doug) have earned a Michigan Builders License. Although the State of Michigan only requires that one of us have a license, we feel it is important for each of us to be licensed. Obtaining a license requires 60 hours of classroom education and passing a test which confirms our knowledge of building and business practices. Holding a Michigan builders license also requires us to attend hours of classroom instruction each year so you can be assured that we are staying current on the ever changing business of construction. In addition to our licenses, Doug has earned the following designations through the National Association of Home Builders (NAHB). CGB - Certified Graduate Builder. This designation requires taking a test which measures competency in five major categories including: 1. Building technology 2. Business finance 3. Project management 4. Sales & marketing and 5. Safety. Ten day long courses are required to complete this designation and this designation requires annual continuing education courses. There are currently less than 5 builders in West Michigan that hold this prestigious designation and there is only one other builder in Mid Michigan to hold this designation. CGP - Certified Green Professional. This designation requires taking a three day seminar which teaches green building practice. CAPS - Certified Aging in Place. This designation requires taking a three day seminar which teaches universal design principles. CGR - This designation requires taking a test which measures competency in five major categories including: 1. Marketing & sales 2. Business administration 3. Design, estimating & job Cost 4. Contracts, liability & risk management and 5. Project management. Ten day long courses are required to hold this designation and this designation requires annual continuing education courses. There are currently less than 5 builders in West Michigan that hold this prestigious designation and there is only one other builder in Mid Michigan to hold this designation.Equally as important as education is our extensive experience. Not only do we have experience constructing custom homes of various sizes and complexity but we also have the experience to handle complex remodeling projects. Most builders have experience in either new construction or remodeling. Cutting Edge Builders is recognized as an experienced leader in both. We invite you to take a look at our extensive portfolio of new construction and remodeling projects. When you are selecting your builder or remodeler, it is important to select a true professional, a contractor that values education and that has the experience with your desired project. When you hire Cutting Edge Builders to complete your new home or remodeling project, you are not only hiring the best craftsmen in the market but also the most educated and experienced.